Taught by Michael K. Lake, Th.D., Chancellor and Founder of Biblical Life College and Seminary and author of the best-seller, The Shinar Directive: Preparing the Way for the Son of Perdition. As we draw closer to the unfolding of end-time prophecy, it will become more important than ever to learn to accurately hear the voice of God. God is calling all of us to become watchmen over our homes and communities. This college level study has been used to train aspiring ministers around the world. 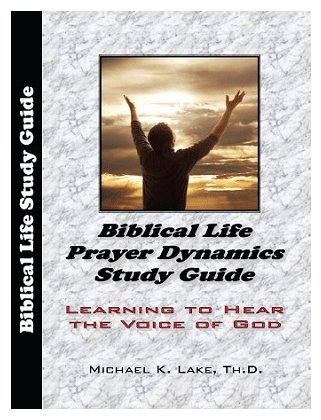 Now this powerful study is available for use in personal, home fellowship, and bible group studies. The study guide is professionally printed 8″ x 10″ perfect bound paperback (224 pages) and is accompanied by twenty-one (21) lectures (each teaching is a minimum of 1 hour long). Perfect for personal spiritual development, for home fellowships, or church bible studies. Those that go through this powerful study can also learn how four semester credit hours of college credit can be earned through Biblical Life College and Seminary.